This message was preached by Tim Davies at the Regions Beyond Leaders meeting in Mumbai. Please click here for the audio link. All these are needed when we have to bring through leaders. 1. Romans 12- Zeal- this is the Paul identifies. Leadership is just one of the gifts. It’s neither the first nor the crescendo. It’s tucked between acts of mercy and giving. We nee to lead with conviction, zeal, passion and whole-heartedness. Isaiah 9- The zeal of the Lord shall accomplish it. The passionate heart of God will see it right through. The disciples remember this prophecy when Jesus is in the temple courts with a whip. People with zeal make an impact. So Paul, when he talks about leadership, he says to do it with zeal. We need to lead with passionate energy. When it comes to bringing other leaders through a number of things can sap us. If you are not fully convinced that this is something you need to do, you will not have zeal. Why aren’t we convinced to invest in leaders? a. Because in the short term, it’s easy to do it by yourself. They may not do it well. I’ll have to sort out their mistakes. It’s easier but its short term and un biblical. b. Our own insecurities can be exposed. What if the standard does not go down but goes up? c. Lack of faith- we are not planning for anything different than now- no expectation of change. The certainty of change will force you to make leaders and change will force zeal. Where faith is present we will act with zeal. d. Would they want to be disciple by me? If I make the ‘big ask’, i.e. to be disciples, etc, will anyone want to come with me? These things and others sap zeal. This is where the leadership gift needs to be bold. We lead in teaching. People want to give their lives for something the leader has faith for- where they are excited, convinced that there is something you need to do. Are you convinced? Is not, you have believed the lie of the enemy. 2. Joy- Hebrews 13: 17- it is not an advantage to be led by miserable leaders. Philippians 3- “Rejoice in the Lord! It is no trouble for me to write the same things to you again, and it is a safeguard for you.” There is a great protection in joy for a happy church. A whole lot of temptation falls to the ground when you are full of joy. If we are full of joy, other people will desire it because there is no status to be obtained. So we want to be joyful in our call of others to join us. Jesus called people by name- that was a happy moment. 3. We need much wisdom to lead- we need leaders who are not faddish but we need wise leaders. What does James say? In chapter 1- we can ask for wisdom. In chapter 3- he defines this wisdom in verses 13-18. In verse 17, he gives a beautiful description of wisdom - “Pure, peace-loving, considerate, submissive, full of mercy and good fruit, impartial and sincere.” Wise decisions come when selfish ambition and bitter jealousy are killed. If Jesus needed to spend a night in prayer when choosing leaders, this is a good list to keep before us when choosing leaders. Jesus had an assorted bag of leaders. You had a zealot and tax collector along with fishermen. We need to be open to reason- willing to hear a different point of view. Gentle and peaceable- it’s large hearted. It’s very secure and happy to have other voices. 4. Leadership needs to be great in knowing the peace of God- School would be great without children. Sometimes we feel like that about church. But when it is a leader who causes this, it touches our own heart. There is a place to go where we can say we do not understand but I have quieted my soul and all is well. We need this as a leader- we need to know this place when the storms come in, where it is not contested by the enemy. We exercise this when we draw others into our world of leading so we have no fear of being let down, betrayed and misunderstood. Jesus knew this- in his fellowship with the father. 5. Faith- we are doing this when we expect change and extreme faith for what we do not fully see. We are clearly leading into an unseen future. Isaiah 51: 1- here the rock is Abraham. He was one and then was many. We are made of the same stuff as Abraham. God shows Abraham the stars and then he believed. We don’t know how long the pause is. Picture that moment- no stories of the Red Sea or the cross then and God speaks into his spirit and he believes. We have been made of the same stuff. We are made for those great leaps of faith. So we believe God for individuals- to bring people through. It stirs faith in them and without faith it is impossible to please God. It’s not a management tool. This is a part of the same promise. Jesus is the seed of Abraham. We carry the promises of Abraham to believe for descendants who will be like the stars. When we are praying for individuals in the church and call them to join the team, heaven watches those moments- they are moments of faith and God loves it. Jesus said when the son of man returns, will he find faith? Jesus is looking for faith and responds to it. When my zeal and faith live up with the zeal, joy and wisdom that comes from heaven we can achieve a lot. 1 Corinthians 12: 21-22- “on the contrary, those parts that cannot be seen are indispensable”. The weaker people that God gives is to raise up are the ones we cannot do without. If we can get that we will unlock the world. This message was preached by Steve Oliver at the Regions Beyond Leadership training in Mumbai. This is part 2. For the audio please click here. Q. What would you do if you were invited to a conference to Dubai to sit on the stage with Benny Hinn? We will either be opportunity driven or value driven. Sadly often, when opportunities come we can throw our values out. When you get called by the world that is non relational we can move into recruitment and not relational. As a leader I am called. And because he called me by name I do all that I do for his glory and not mine. We need to get that call correct where we are stepping into the purposes of God and not my servants. We need core people who can help shape us. 1. Appointed- he designated, he shared authority. You can call people to be slaves, they will only do what you tell them. But when they have authority it shapes it differently. We together look to God. Over the years I have learnt not to go into situations with all the answers. We are an apostolic prophetic people- with everyone hearing from God. Team is shared authority. The word apostle is a verb. It’s not a title. It’s one of the gifts- that’s important. Team is not static. So Jesus called them to be sent. That’s really important. 2. Lastly, in this passage, one of the things Jesus does is he builds a family. We mustn’t miss the work that Jesus does- a group tightly knit together. Michael Eaton says- Jesus was building a new kind of family. Not a committee, but friends, family to the point that he challenged his own family. His family was trying to draw him from the purposes of God and so he built a new family. Acts 4: just after the birth of the church, Peter and John heal the lame man. The whole city sees it and there is uproar in it. And Peter and John get arrested. In verse 13 the people realize that they were unschooled… but they took note that these men had been with Jesus. This was their qualification. See New Testament leaders in action. In verse 23, Peter and John go back to their own people and reported all that the chief priests and elders had said to them. i. Peter and John – this is the early church. It’s been reported how the church is functioning. It’s reported as Peter and John – the point is accessible leadership. No title. There was nothing in the early church that separates leadership from the people. Leadership comes from the Spirit. Sadly we have added titles and things that will separate us. People’s respect for us must come from our lifestyle and Godliness that they will want to follow us. As you call people to lead and call them to eldership, please make sure that they are called to be a servant. So be accessible. ii. Peter and John went back to their own people- such beautiful people. ESV says, ‘friends’. It’s relational- ownership, i.e. people who were known. They reported ‘all’. We need to share our lives. iii. They reported that they were under threat. Our people should know that we rely on God. Get your people to pray for you. iv. They raised their voices. This message was preached by Steve Oliver at the Regions Beyond leadership meeting held in Mumbai. We are living in exciting days. The work that God’s called us to do is wider, deeper and higher than we imagined. At the HUB we had a word about the mountain streams filling the dams that burst open. The second word was ‘Don’t shepherd God.’ God is moving quicker than we think. I will never call you to more than what the grace of God has called you to. We want to talk about being a family and tackle some key values. “1952- Hudson Taylore- China Inland mission” has deeply impacted me. His story is inspirational and how he has to battle for what his values are. The church was caught up in Cathedrals and had no heart for the nations. Like Jacob walks with a limp, God gives him the wisdom that in his weakness he has the ability to tap into God’s grace. In Burundi we have this land that has a vision that is bigger than I dreamed of. 1999- I was leading a church in Clarens. Simon Petit spoke about leadership- Eldership we realized that only 1 or 2 churches had Elders. Biblical foundation was lacking. So we began a process of raising up leaders- men and women in Southern Africa. Within 6 years all churches had Elders. If you don’t understand the importance of bringing people through you will not have people resources. We see from Jesus that he was intentional about raising leaders. If you want to know the reason, look at Matt 10 to see the heart of Jesus and the Father. Matthew 9: 35- “went through all the towns… healing all...” and in verse 36, ‘when he saw the crowds, he had compassion… harassed and helpless like sheep without a shepherd- the harvest is plentiful…” Jesus could have said that ‘He is the man’- he did not need anyone. But he knew in his mind, it was never to be about personal ministry but about workers. Ask the Lord of the harvest to send out laborers. We are not the answer to the world. Jesus is. We need to see as He sees. 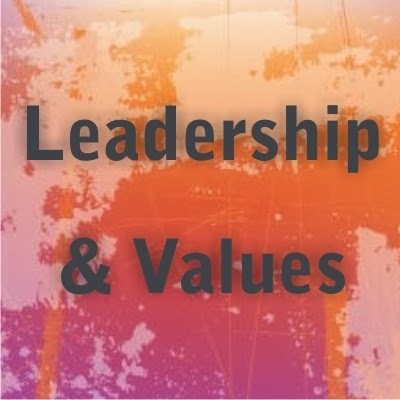 Modern day leadership sees with ‘where is my place, recognition, ministry, what is in it for me’. Jesus sees the crowd and is moved with compassion. Matt 10:10- is the response. He calls the 12- it’s always about multiplication. If we are to fulfill what God wants of us, we have to keep multiplying ourselves. So Jesus calls, appoints and sends. He takes this multiplying very seriously. Even in the action of choosing leaders he models team. He wants to be in the presence of the Father and wants the confirmation of heaven. Can you catch the intensity of the moment that he spends the whole night in prayer? Many are following him but he wants to know who will be at his side and who he can give himself to. 1. It wasn’t haphazard- Jesus was very committed to this task. It did not happen at the end of his ministry but right at the beginning- with great intentionality committed to the task. He needed 12 of the many. As a church is planted you gather a lot and then you choose a few. As a leader you need to realize that you can’t do it on your own. So he models working in team. He wants immediate successors. He was not interested in himself. 2. He called those he wanted to be with- ‘desired to be with’. This is a real key you need to understand the whole thing of calling. Our nature is to choose people who are like us or make our life easy and hopefully not oppose us and not have their own agenda. But this is not one of the reasons why he chose there 12. They did all the above. Knowing they were going to betray and desert him he chose them to change the world. He puts his own emotions aside and worked with these men. “The call of God to be a leader is the mere outcome of a very big rock” – Philip Greenslade. When God calls us it’s a very special thing. When we call people to join us, they understand. In our selection we must go to God and know whom to choose. When I read that many years ago, I thought it gave me liberty to choose my friends. but when you read your Bible you realize that he chose a Judas and a Peter. This is a whole new dynamic. We need to choose people who will enable us to fulfill the purposes of God. Abraham Lincoln was a simple man highly gifted for a task. When he became the President, people were shocked. He appointed his rivals into his administration because they were gifted- but they undermined him all the time. He said that it helped him to check his heart. When you have a look at Jesus, he formed a team out of mis-shaped men. Jesus did not need any shaping but you and I do. You have to think about yourself- what will strengthen my weakness and teach me about the grace of God. What’s best for our church and not what’s best for me. It’s not easy but will keep you praying. Jesus called! “The music and the call” is a book in which the author likens our togetherness like that of an orchestra- each one has a part. The call of God is not for him to join our little world but for us to join his call. As leaders, be careful of your language- ‘come join my team’. That is too small a thing. Come join the team to fulfill the purposes of God which are so big! ‘what is my role?’ the answer is that we don’t fully know. This will stop us thinking we are a big fish in a little pond. Hearing the call of Jesus, they have to see how Jesus sees. Then we will have nation changing people in our churches. When he calls you, he calls you by name. It’s communion before commission- before being given a task by God. We are called to play a part- not to individual ministry. What was promised to Abraham is promised to you. There is only one thing you have to do. Isaiah 51: 1-3- “Look to the rock from which you were hewn” Here most people would guess that the rock is Jesus, but soon the passage tells us that it is Abraham- Abraham and Sarah, our father and mother in the faith. Why is this important? Because, he was one and God multiplied him! God will do this for us as we are made of the same stuff- we are cut from the same stone as Abraham. In Genesis 15- Abraham was asked to count the stars and that his descendants would be more numerous- and Abraham believed. We do not know how long the pause is between promise given and belief. God puts something in front of us and calls us to believe. If you are interested in righteousness, you need to believe because Abraham’s faith was credited to him as righteousness. So when we face mountains- you are made for such moments- to stand firm in faith and believe. There is a ‘yes and Amen’ in heaven and we need a ‘yes and Amen’ on the earth. So often we tend to give a celebrity status to people even in the church. But we are all of Abraham. The faith that Abraham shows is the faith that we are called to have. Our God’s riches are not just stuff- God was rich even before creation- rich in mercy, in glory, in power and holiness. We are not to go after the things which are made to display His riches but to go after Him. Multiplication is what we were made for. Happy New Year to all . Which Bible character who has a great father , a great son and grandson but is not often spoken of ? He is also a son of promise. YOU are a son of promise too. I want to talk about someone in the Old Testament who often gets over-looked. His father was very famous and great, his son and grandson were great. You can get lost when you have such a great heritage. Who is he? Isaac. 1 Cor. 10:11, Gen 12. The old testament is there for us as examples and warnings for us. There is much benefit in studying the lives of these men of God. What was special about Issac – there were great promises spoken over his life just as they were to his father. All nations of the earth would be blessed through Abraham. Abraham had great promises. The problem is that he did not have a son. 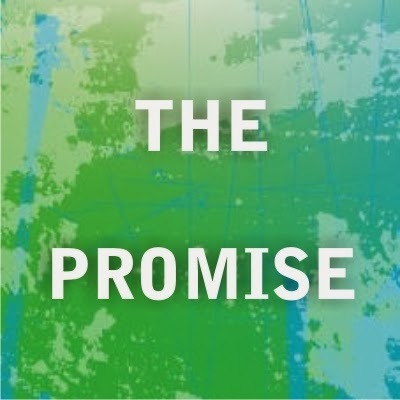 The promise was there but not the fulfillment. Then, there was the son of the promise- Isaac. Genesis 17:16, 19- Here is a promise to Sarah: Mothers of nations, kings will come through her. The promises were spoken before he was born. He was blessed. Even with us- promises were spoken over us before we were born because we are sons of Abraham because of our faith in Jesus. We need to know, believe and receive it. Your future is bright. Our ancestor is Abraham the friend of God. Genesis 25: 19- You would think Issac should have it smooth sailing because he is the son of promise. Here is the funny thing; Issac’s wife was also barren. Isaac has great promises on his life but he has problems. His wife was barren. God gives us promises but there is a battle to be fought- with faith and perseverance we will have our inheritance. There are many promises God has given us personally and as a church. Inheriting the promises is not a cakewalk – we need faith and perseverance. Q. How did Isaac persevere? His wife was barren. That was only one of his problems. How did he overcome? He prayed. Isaac prayed on behalf of his wife. How long did he wait? It’s one verse after the other. In verse 26 we see that he waited 20 years. Sometimes, we have to wait. We need to hold on. Do you have problems? God can move mountains. But we need to pray. Then Isaac is blessed with 2 sons but there are other issues. In Chapter 26, there is a famine in the land. But the Lord told him to stay and not go to Egypt and he obeyed. In verse 12, God blessed him as he promised. However Isaac also feared man. So, he faced famine, barrenness, and fear of man in the face of these promises. This is true for all of us. We face problems, just like Issac. He took hold of God’s word and he did something. Q. What did Isaac do? He planted crops and God blessed him a 100 fold. We can in the mean time plant deeds of kindness, prayer, sow into the kingdom and we will see fruit. In verses 17-22: though he was the son of the promise, he faced challenges..Today many preach that health, wealth, good relations is a must for Christians. Is it true? As he prospered the Philistines fought with him about the wells. Don’t we face this? So even though a son of the promise he faced challenges. Here we have an example of how they had to persevere to get the promises. How many times God speaks to him and reminds. 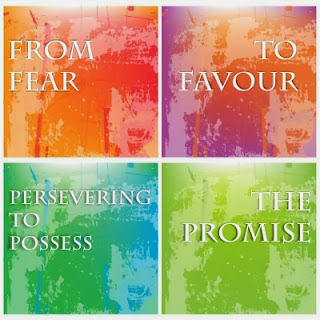 Take hold of God’s promises, repeat them and keep them before you and believe them because we have so many other voices challenging those promises. V26 : The table turn. V28 his enemies realized that God was with Issac. In verse 28 Isaac’s enemies realized that God was with him. God will come through for you- in your office, etc. Isaac’s life changed from fear to favor. There are great promises, but they do not mean that we do not have problems because we live in a fallen world. We have to hold on and push through in faith and prayer. We need to plant something – something we have to do in faith and God will overturn the situation where you have the favour of man and of God. We can plant three things – prayer, fast , give. As we do this, we will reap a 100 fold.